Students and staff at the campus of Finger Lakes Community College are welcoming the addition of 33 acres of land to the East Hill Campus for outdoor recreation and education. 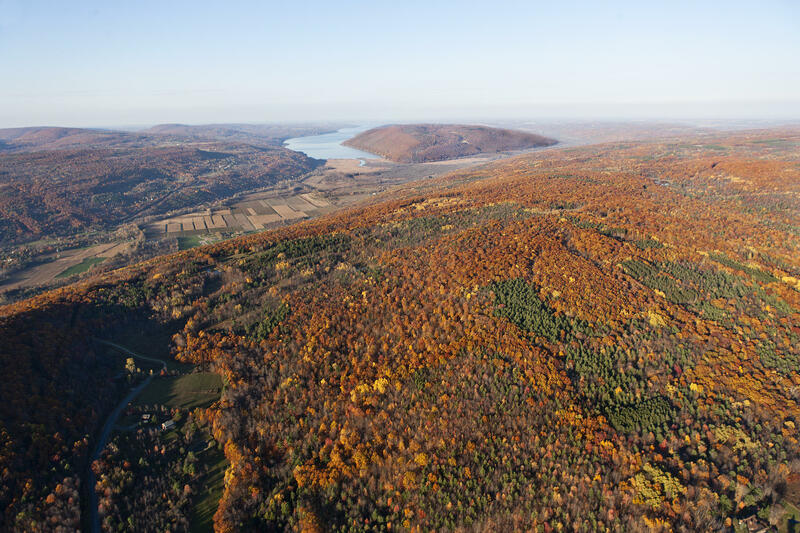 The Finger Lakes Land Trust, FLCC, and an anonymous donor, collaborated to purchase and transfer the land, previously owned by a private citizen. Finger Lakes Land Trust Executive Director Andy Zepp says this land is in an area that they have focused on for years, and it was an opportunity to double the size of FLCC's field station in one of the most beautiful landscapes in the Finger Lakes. "We felt it was a great idea to conserve the land and to expand educational opportunities and we worked together to do that. So now this land has been added to their field station," he said. Zepp says the Land Trust has focused for years on conserving land around the south end of Canandaigua Lake, and this was an opportunity to do that, plus expand educational opportunities, as well. "It was undeveloped woodland that we thought was best to remain that way, so we acquired it and then conveyed it to the college, subject to some restrictions on use, so it can only be used for education, conservation and recreation purposes," he said.